Jungle Juice is a fruit punch, a mix of orange, apple, lemon... with a "hint" of strong alcohols. A flavor for a festive e juice! Jungle juice is a cocktail of strong alcohols and fruits popular on university campuses. 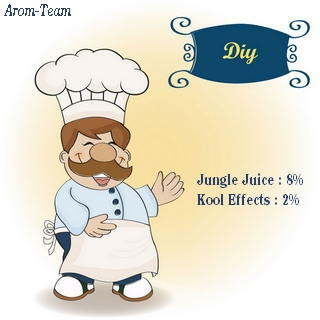 How to make a Jungle Juice? Blend of vodka, brandy, bacardi, triple dry and Hawaiian punch combined with Sprite soda, Sunny Delight, apples, oranges and lemons, this detonating punch is explosive. 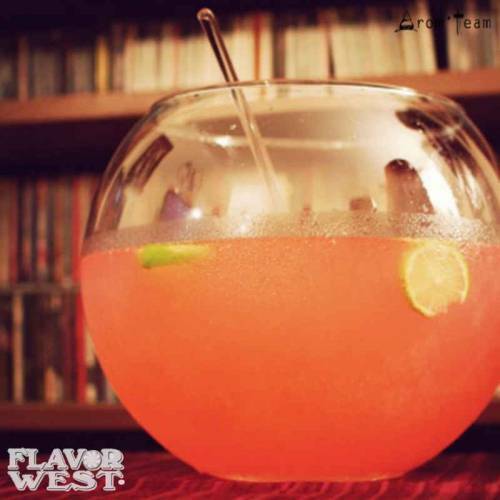 Flavor West's flagship, this Jungle Juice flavor is by far the most realistic in the reproduction of this festive drink. What is the steeping time for a jungle juice recipe with fruit ? A maturation period of at least two weeks is indicated. Is it an aroma only for vape? 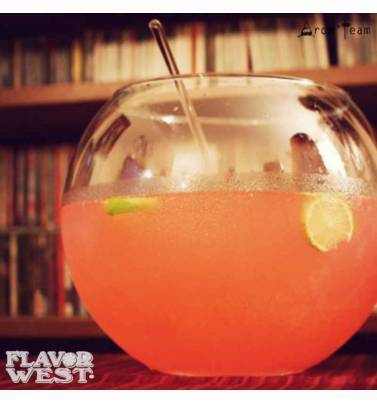 Flavor West aromas are above all food flavors.